If you want to try your luck at winning the jackpot on video gaming machines, you will have plenty of chances to do so in Kankakee County. 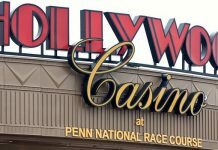 State records indicate that 118 places in the county provide video gambling on over 500 gaming machines. 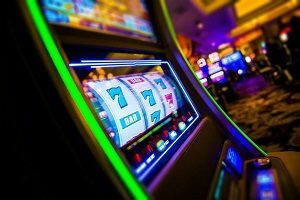 Altogether, the gambling venues made a total of $21.9 million in net income in 2018 –this is also the amount gamblers lost. Thirty percent of the total went to machine taxes; of this amount, $5.4 million went to the state, and $1.1 million went to municipalities. The establishment that made the most money was the 24-Hour Gas N Wash located on Court Street in Kankakee. The business made over $1 million last year from gambling machines. After taxes, the company’s actual earnings were $713,000, which means each of the devices at Gas N Wash made about $140,000. Len McEnery is the owner of Gas N Wash and stated that the gambling machines contributed to the success of his business. He also noted that the video gambling machines allowed him to employ more people. In 2018, the 43 gaming venues in Kankakee generated almost $9 million in profits from more than 200 machines. Around half a million went to city government coffers. Kankakee’s revenue had gone up each year since 2012 when the state authorized video gambling in businesses. $21.9 million in earnings from gambling machines in Kankakee County amounted to $323 for each man, woman and child in the county in 2018. Manteno, one of the major towns in Kankakee County, had the highest per capita spending; $358 was spent per person. 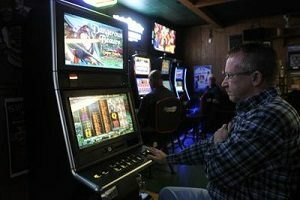 Since there are very few bars in the area, Bourbonnais only has four gambling venues that offer video gaming, and 18 machines. Only $44 per capita was spent in Bourbonnais. There are only 22 locations in Bradley that offer video gambling, with 99 machines. Last year, Bradley spent just under $300 per capita. Video gambling venues have to hold a liquor license to operate in the state of Illinois. Mayor Paul Schore stated that this is why Bourbonnais does not have many places to gamble. Schore said “we’ve always had a fairly conservative view of alcohol. We do not sell alcohol at gas stations. We have one liquor store; we only have two bars.” Schore said that if people in Bourbonnais want to gamble, there are opportunities to do so nearby. The Minit Mart in Manteno generates the most gambling revenue out of the 13 establishments in the village. The business earned $754,000 last year before taxes. 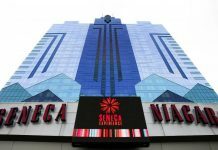 Nugent also stated that the village had received several requests from companies that want to set up cafes where the bulk of the money would come from gambling. However, the mayor made it clear that officials have taken a stance against such businesses.